There's a massive storm about to pummel the Tetons, and you've got a bunch of sick days and frequent flyer miles stacked up. There's only one thing left to do: load up your bags, check out for a few days, and drop in on some of the best snow of the year. But how are you going to get your gear to the mountains? 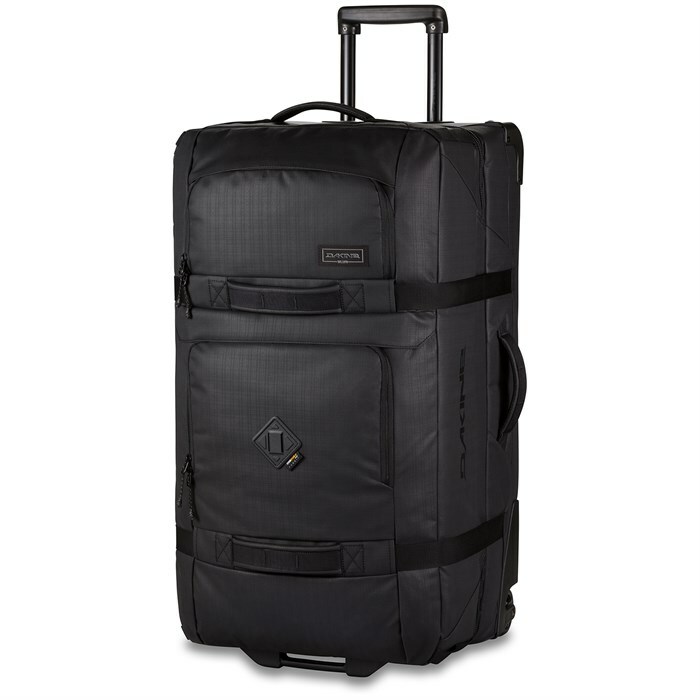 Swoop up a DaKine Split Roller 110L Bag and forget about the hassles of packing and airport navigation. This resourceful piece of luggage offers easy organization, a separate pocket for dirty gear, and a Split Wing™ brace that keeps the shape of the bag intact. Split Level Design  Allows for easy access and organization. Interior Compartment  Keeps dirty clothes or snow boots contained. Split Wing® Collapsible Brace  Provides great stability and folds flat for storage.